Three plus raised beds of garlic is what we planted last October. The bunnies thankfully leave it alone, even though there’s not much else around to eat in the Winter. 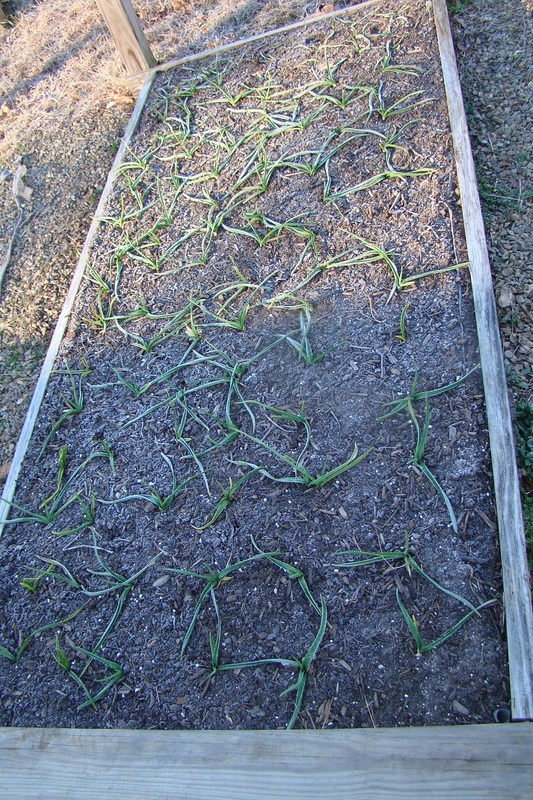 The individual cloves sprout greens then it kind of goes dormant during the cold weather. In May we’ll be harvesting scapes then digging up the heads in June/July. We’re still using garlic from last Summer’s harvest. I sliced some really thin then put it in the dehydrator. After a quick whirl in a food processor, homemade garlic powder. Tasty! I love following your blog. 🙂 What a great idea making your own garlic powder!